Do you need 6000 lumens? A few wild-haired mountain bikers once said, "Let there be light!" And there was light. Thanks to CatEye for throwing a giant middle finger to the hindrances of darkness, the Volt6000 turns the darkest of nights into a summer solstice afternoon. For a cool $799.99, you too can harness the equivalent of more than 5 car headlights with the press of a button. 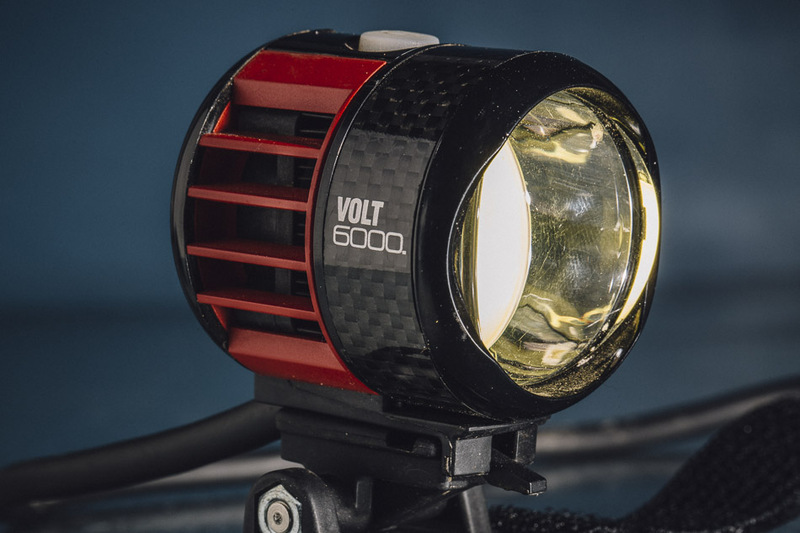 The Volt6000 is an awesome light practically just by merit of what it is, but is 6000 lumens worth $800, and do you need that much light? That depends on what you're looking for in a light. If you seek the absolute brightest overall light on the market, the Volt6000 would be tough to beat. 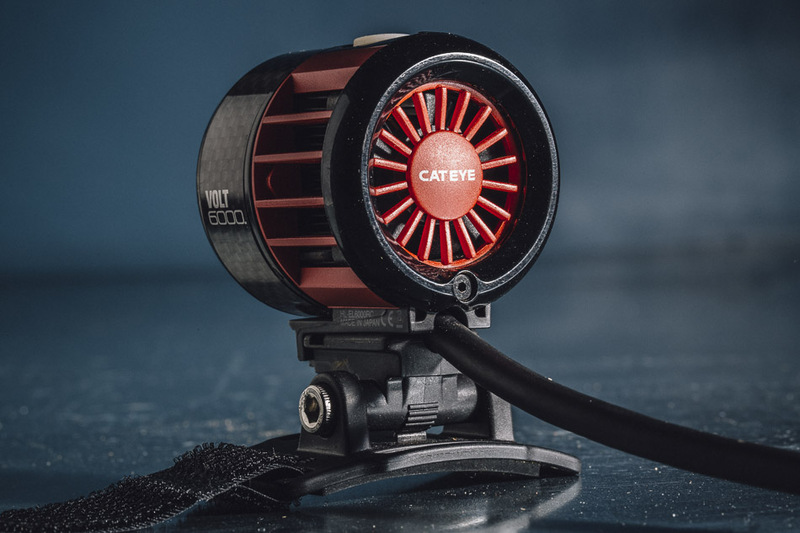 CatEye conservatively measures the luminous output at the end of a battery cycle, meaning that the lowest light will come in around 6000 lumens. Independent tests claim to have shown the highest output to be more like 7000 lumens. The beam is very consistent and wide–this is more of a flood light and less of a focused spotlight. In fact, on more than one occasion I caught myself saying, "I don't remember the last time the sun shined this bright in Bellingham." 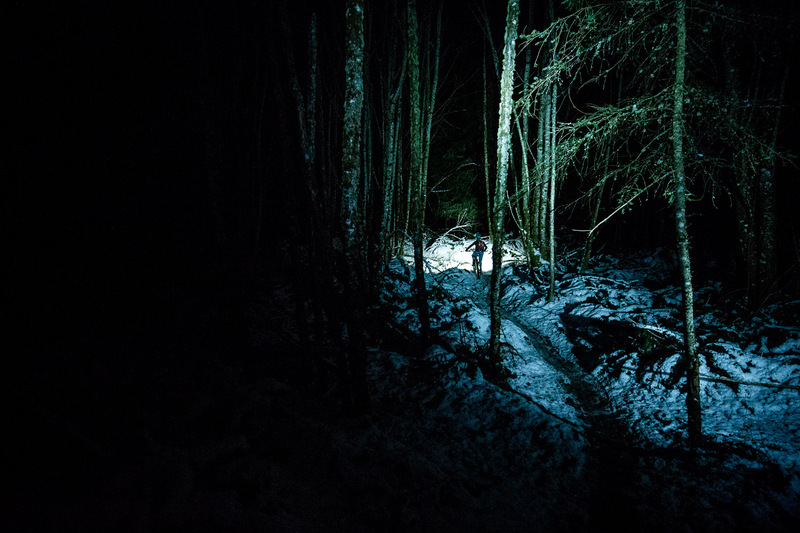 We just don't get that kind of light penetration in the trees, so this made the trails feel quite different from not only other nights, but even a sunny day. Flood versus spot is personal preference, but historically I feel like I can read the nuances of a trail better with a more focused spotlight. Like all lights, run time varies depending on the amount of power being used. At full-tilt 6000 mode, I clocked in 72 minutes of life–enough for a quick after-work lap. But because the light is so powerful, I found that I really didn't ever need to run it at full gas, and instead mostly used the light at 2000 lumens. In this mode I managed about 4.5 hours of run time–way more than I've ever needed at night. For those suffer-gluttons looking for a 24-hour-event capable light, CatEye says the Volt6000 can also go for 8 hours at 1000 lumens, or 12 hours at 500. Mounting the light unit on the helmet is simple with the included bracket and Velcro strap. There is no included attachment to affix the cable to the helmet, though, so the cord will flop around unless you get crafty. Zip ties worked great for this. Units are sold with a bar mount included, though our test was only sent with a helmet mount. The list of other things to ponder with this light is long. For starters, there’s its overall weight, the vast majority of which lives in the battery pack and control unit which sit together via a slide-and-lock mechanism, attaching to your frame while the light is mounted on the bars or in your pack while the light is mounted on your helmet. The battery weighs in at 550 grams, by far the heaviest unit of any lights we're testing this season. Fortunately, the actual light unit weighs in at just over 100 grams, and is what I'd consider barely noticeable weight-wise when mounted on a helmet. The light unit also houses a brilliant built-in cooling fan which is always running if the light is on. It's not exactly loud, but it does remind me of sitting in a plane on the tarmac. I'll trade slight noise for a non-exploding light any day of the week, though. Blow on, little fan. Lastly, CatEye has included a Bluetooth remote control that mounts easily to the handlebars. It was easy to operate and is a handy addition, but I found it a little unnecessary. Finally, you may be wondering what it's like to ride with a virtual sun strapped to your head versus most other lights that run in the 800-2000 lumen range. Candidly, it was fine, but not mind blowing. Did it make me ride faster and with more confidence? Nah. Did it elicit "Ohhhs” and “Ahhhhs" from my night riding comrades? Totally. And I'd be lying if I said the novelty wasn't fun. But does the massive output make enough of a difference on the trail to justify three or four times the cost of a couple lights with lumen outputs in the 1000 range? For the average night rider, I don’t think so, but 24-hour marathoners would do well to add the long-running Volt6000 to their setup. Also, while the price tag of the Volt6000 isn't small, lumen for lumen it's a fair deal. Other companies make lights with about half the luminous output that cost ¾ of the price of the Volt6000, so if you want the brightest light, the power to blind anyone and anything you come into contact with, and you've got the spare cash, you're actually getting a bit of deal. You can find the Volt6000 and all of the related information on CatEye's website.